Cannot be Special Summoned. Requires 3 Tributes to Normal Summon to your side of the field, or 3 Tributes of your opponent’s monsters to Normal Summon to your opponent’s side of the field. The control of this Normal Summoned card is returned to its original owner at the End Phase of next turn. (1) Cannot attack, and cannot be targeted for an attack or by an opponent’s card effect. 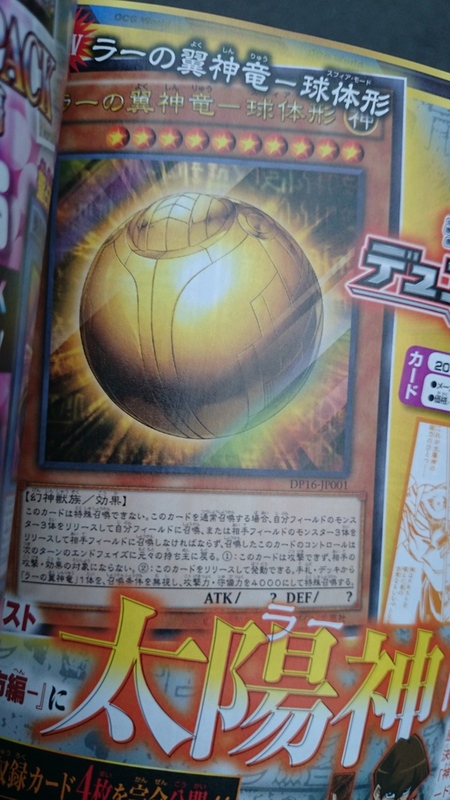 (2) You can Tribute this card: Special Summon 1 “The Winged Dragon of Ra” from your hand or Deck, ignoring the Summoning conditions, but its ATK and DEF each become 4000. 10 OUT OF 10! 10 OUT OF 10! 100 OUT OF 100! BEST CARD! BEST CARD!